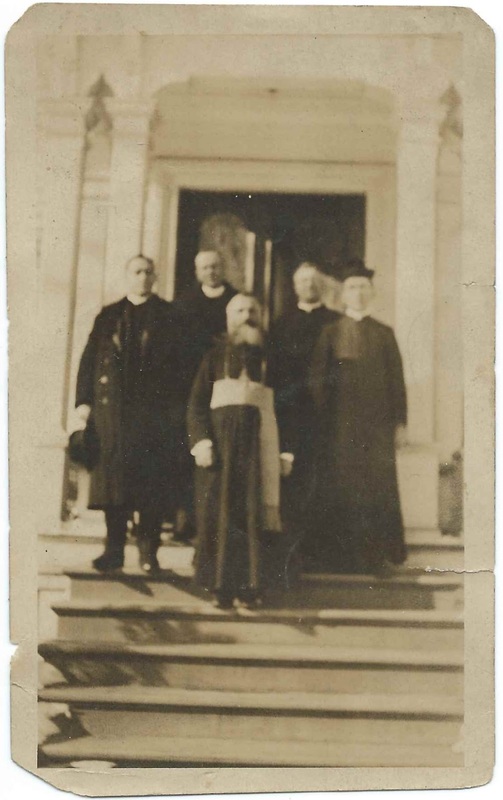 Heirlooms Reunited: 1920 Photograph of Priests, with Wording on Reverse: Dec. 15, 1920, William Nemer"
1920 Photograph of Priests, with Wording on Reverse: Dec. 15, 1920, William Nemer"
1920 group photograph of five priests or priests and laymen, with wording on the reverse: Dec. 15, 1920, William Nemer". There's no clue as to locale. The photograph was purchased in Maine, and there just happened to have been a William Nemer living at Waterville, Maine, in 1920s and 1930s, but there were other men by that name living throughout the United States. 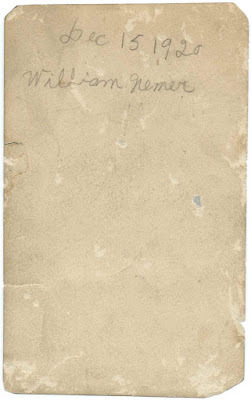 William Nemer came to the United States from Syria about 1913 and settled at Waterville, Maine, where he worked as a finisher in a woolen mill. William married Isabel Elhilu at Waterville, Maine, in 1924. Isabel had come to the United States from Syria in 1921. By 1930, William and Isabel had two children. 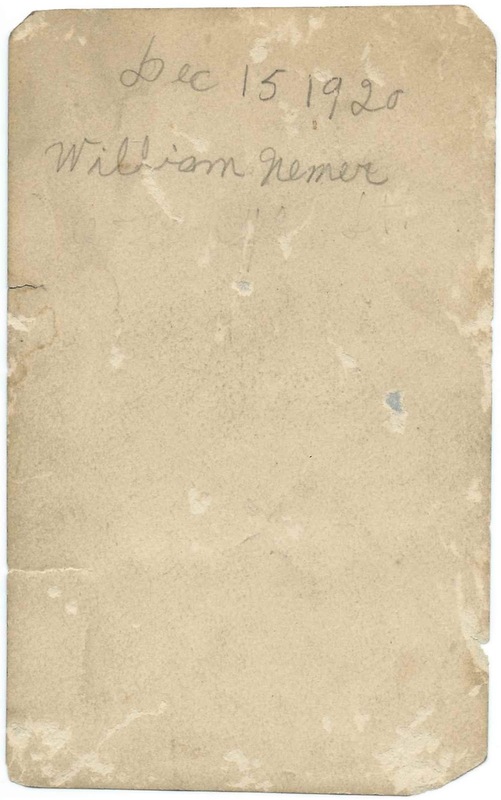 If you have a theory about the identity of William Nemer and the other men, please leave a comment or contact me directly. I think you might have the right William Nemer in Waterville, unless all the other Nemers in the US were also from Syria and belonged to the same branch of the Catholic Church. The dress and grooming of the priest in front caught my eye. He is not Roman Catholic, and at first I thought he might have belonged to one of the Eastern Orthodox Catholic churches. But from the pictures in the link below, he could be Maronite Catholic. Here are some images of Maronite Catholic priests. Note the ones with the sash, especially. Wow, great sleuthing! I hope these are the Waterville Nemers. I thought I'd look for pictures of St Joseph's, Waterville, to see if they matched the picture, but no joy. A history of the church says work on the present building was begun in 1946, so that is out. There is a picture of it online and it looks nothing like this building. Before that, the Maronites worshipped at Sacred Heart Church. a picture of that is here. It is not the building in your picture. Maybe someone from Waterville will recognize the building, if it is in fact the William Nemer in Waterville. Again, many thanks for your research!